The lanterns, 2 wall mounted, and 1 ceiling hung, date back to 1900 circa period. The artwork and skill of this age demonstrated a strong understanding of the art of blacksmith. Not only were they refined in iron forge work but also with tin making and the craft of sheet metal. The material of this project consisted of wrought iron and copper mix. 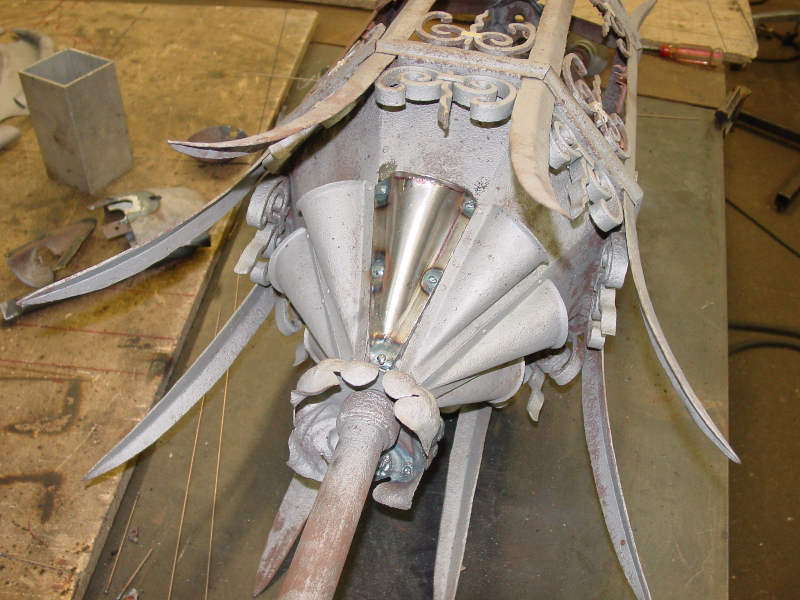 Strapping and riveting were the common methods of holding to pieces together at that time. Some evidence of solder/brazing was used. 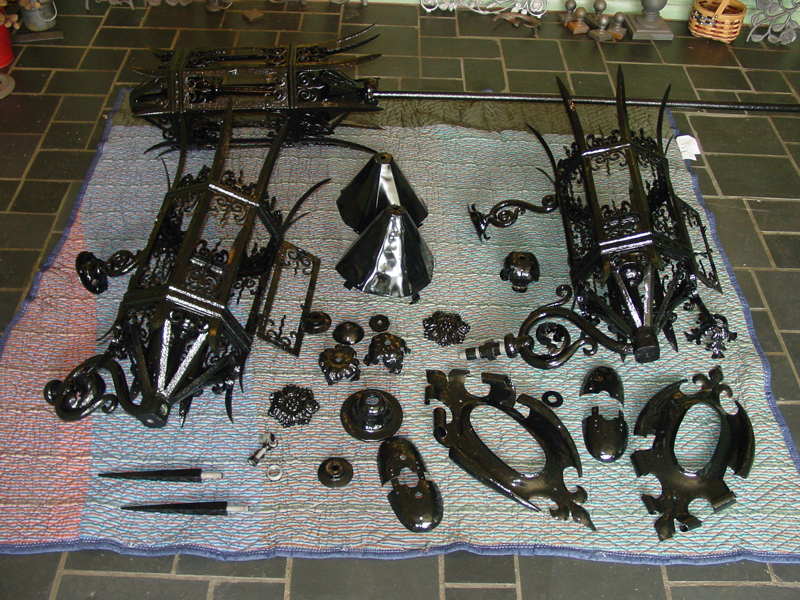 The lanterns were fully disassembled, restored, powder coated then reassembled. 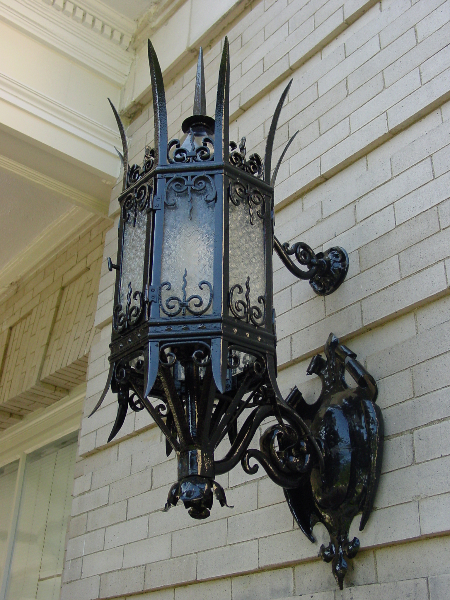 Originally fitted for gas light burners these treasures were updated to today’s electric lighting.